African Safari, Masai Mara, Kenya P1. P2. P3. P4. 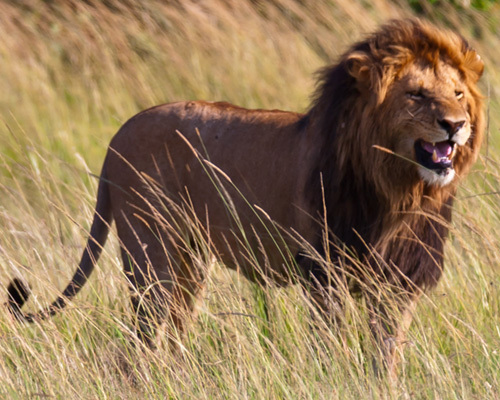 The Masai Mara was alive with lions. In just one one afternoon we came across over twenty one lions, mostly females with young, but also a number of lone males. 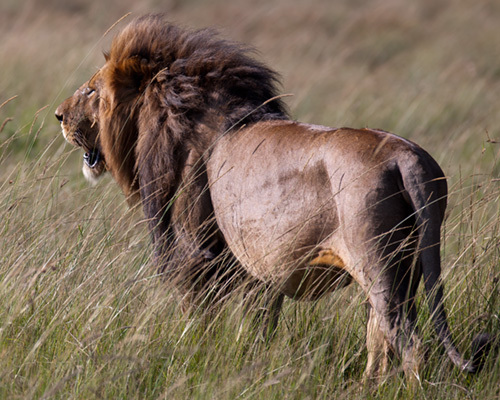 The Masai Mara lions have pages just to themselves, here. 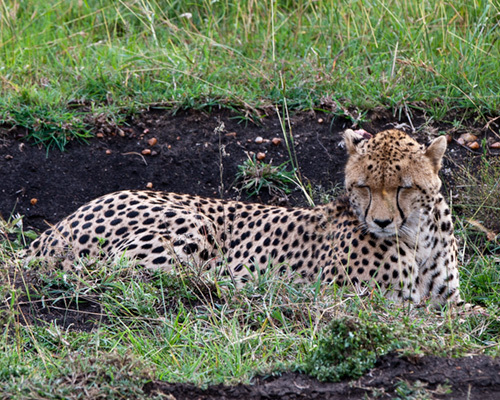 The cheetah was more difficult to spot and this one was having a bit of a hard time. we stayed well back from him as he tried to stalk several different targets, but Topi and Gazelle were very much on guard that eveneing and I suspect this guy went to bed hungry. 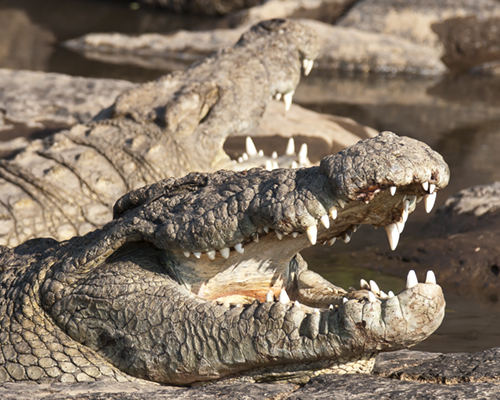 The two crocodiles probably had the best of it. There were a dozen of them, along with around 18 hippo, just enjoying the sunshine and posing for photographs. They were there for the whole of the four day safari. 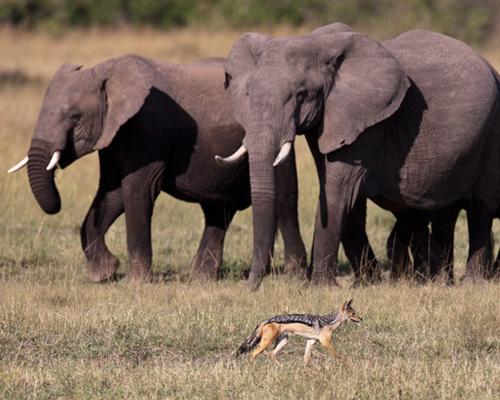 A jackal rumages in the grass, ignoring, and being ignored by, the small herd of elephant that regularly pass this way, to and from the watering place. 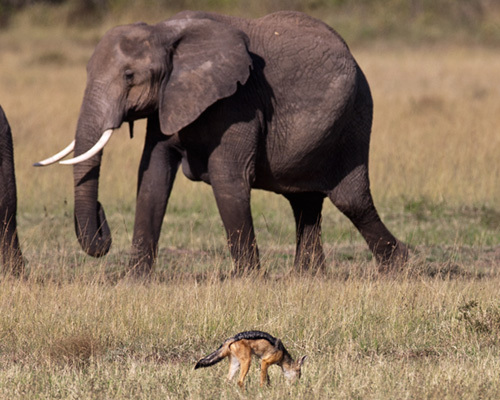 We were surprised at the relative scarcity of giraffe and zebra when we were in Masai Mara, but this was more than made up for by several sightings of bat eared foxes and a pair of servals which we saw in the dim light of early morning. The lion below walked around 150 yards from where we first spotted him striaght up to the truck. He casually looked at us, no more than six inches seperating his eye from mine, then he peed on me, thereby claiming me as for ever marked as part of his territory. The wife said, "And he's welcome to you!"